More accurate data regarding the extent to which greenhouse gases stemming from human activity interplays with the balance of carbon stocks in Europe will soon be available to inform policies. But would that make a difference? Forests and land ecosystems are the earth's carbon reservoirs. They are key to limit the impact of greenhouse gases, as they fix those gases down. 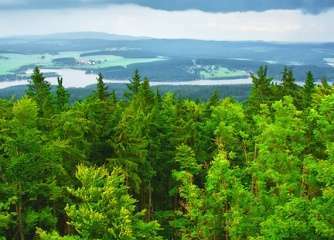 Scientists at the EU funded project GHG Europe aim to identify how best to manage the greenhouse gas emissions (GHG) in land and forest ecosystems. Meanwhile, they also have to balance the need to meet the growing demand for food, feed and bioenergy, which stem from activities likely to increase GHG production. This project builds on the findings from a previous project, called CarboEurope-IP, completed in 2008. Its aim was to quantify the present terrestrial carbon balance of Europe and assess the level of uncertainly margin of these estimates at various scales. Since 2010, GHG Europe project scientists have been taking measurements in more than 100 continental stations across all European climatic regions. As a result, by year end, they will have a comprehensive picture of the carbon stocks in three ecosystems: agriculture and peat land as well as forests. The most important carbon pools remain the forests, which are vulnerable to human derived activities, like agriculture, and to climate change. In particular, the nitrogen emitted in agriculture enhances forests' growth. But it also weakens the roots of the trees, which make them susceptible to drought and wind. In addition, drought and a species of harmful insects, called Ambrosia Bettle (Xylosandrus germanus), coming from Asia as a result of the global warming, constitute a real threat for the forests, according to Olivier Bouriaud, the project coordinator for Romania. He is based at the Forest Research and Management Institute (ICAS) in Campulung Moldovenesc. "We have to prepare the forest stands to face especially the drought," he says. For example, "the beech trees, studied in this project, will need to be thinned and globally kept at lower densities in order to face a reduction of water resources," he adds. This practice, based on decreasing the density of the trees, does not negatively affect the amount of carbon stocks. This discovery is one of the main project results based on the measurements taken in the beech forests in Romania. "For further climate negotiations like Kyoto, this project will come up with a series of very important data," points out Bouriaud, "It is the first time when we estimate the carbon stocks in the forests and make a systematic inventory of the national forests." The existing policy rules on how to adapt the forestry to climate change could be improved by such results, believes Adrian Enache, general manager at ACI Pro Forest, a Romanian based consultancy in the city of Galati. But the laws efficiency depends on how they are implemented at the national level. "If the EU regulations are not correctly harmonised at the local level, all these policies are useless. [And] the development of new European or global policies, considering that there are already such instruments in force, depends mainly on political actors", he tells youris.com. Other experts consider that data from the project can be useful in the debate concerning the new treaty that will replace Kyoto Protocol after 2020. John Lanchbery, principal climate change advisor at The Royal Society for the Protection of Birds, Sandy, UK explained that "the outcomes of the project are unlikely to materially affect the development of EU or international policy in the near future, certainly to 2020, because that is already set". Nevertheless, more information on the greenhouse gas inventory, known as land use, land use change and forestry (LULUCF), is always useful, especially when it increases the reliability and accuracy of data, he concludes. In practice, even in most advanced countries, the reporting regarding the estimation of carbon emissions suffers from a range of uncertainties, according to Giuseppe Nastasi, law & policy adviser at the NGO Client Earth, in Brussels, Belgium. This is because the carbon impacts of LULUCF activities are neither accurately measurable, nor stable enough. "This was the reason why, in the past, the EU opposed the inclusion of LULUCF within binding [carbon reduction] targets" he states, adding that the technical and scientific knowledge, issued from carbon accounting, may not necessarily translate into a specific policy. There is no "global warming". Funding for climate alarmists is drying up. Finally! Some rational response to the hysteria. Carbondioxide molecules gets disintegrated into carbon & oxygen in atmosphere. As per law of Nature molecules can not Exist(Survive) in ATMOSPHERE. By that ridiculous claim, oxygen molecules, O2, can't exist in atmosphere either. And yet, they do.